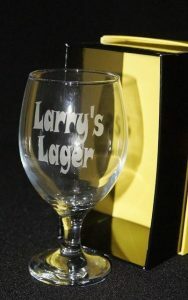 Check out our vast range of Beer & Spirits glasses. 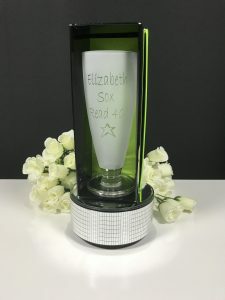 From Pilsners to Pint glasses from hi balls to tumblers we have a great range of beer & spirit glasses for you to personalise. 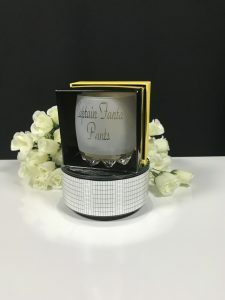 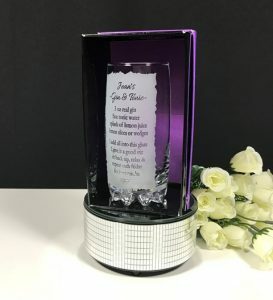 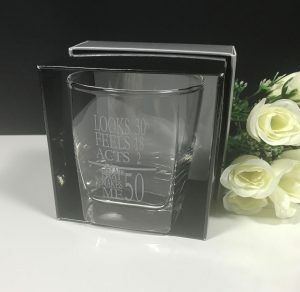 Select your preffered beer & spirits glass, design option, font and graphics and viola you have created a personalised glass that is as individual as you or the recipient receiving the gift. 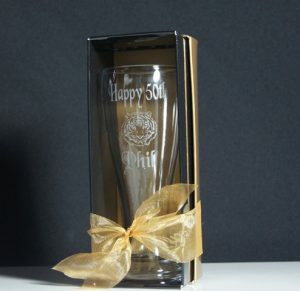 Our Beer & Spirits glasses are etched with is 100% permanent. 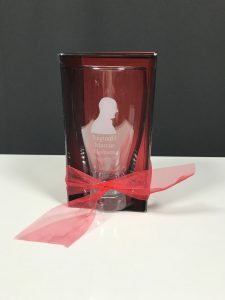 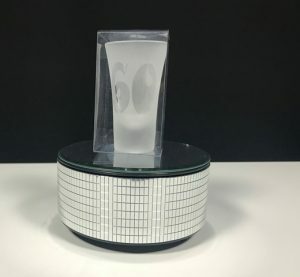 Unlike laser engraving etching is soft to touch as it only takes the surface of the glass off whereas laser engraving penetrates the glass giving you a rough texture. 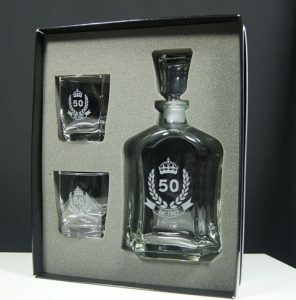 Our specialty is one off orders fast and reliable turnarounds. 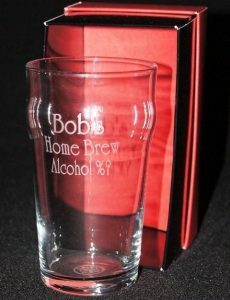 All of our deliveries are guaranteed so if your glass arrives broken we will gladly replace. 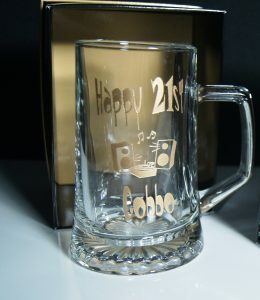 If you have a custom image that you want included with your order we can definitely assist. 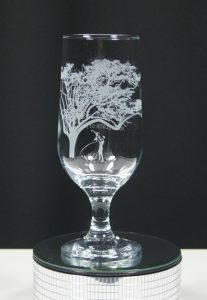 Please email us the if you have any questions on sales@groovyglass.com.au or cal us on 03 8795 7591 to discuss.